Home World WTH 2012 Mayan Prophecy - The Signs Are Upon Us! 2012 Mayan Prophecy - The Signs Are Upon Us! Four Ahau, three Kankin - the winter solstice of 2012 is well known to be the day in the Mayan calendar said to prophesize humanity's doom. 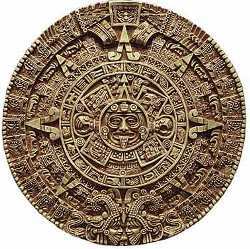 Equated to the Gregorian calendar, the world as we know it is due to come to an end on December 21st, 2012. We've all seen the movie (2012) and many of us have read Steve Alten's first and even second novels in the Mayan Doomsday trilogy (the 3rd one's due out in March this year)... but as is the case with any good work of fiction, a great deal of research goes into the development of an idea which then is cleverly meshed with an author's or director's creativity to end up as an almost believable story (at least that is, for the gullible). Take for instance Oliver Stone's movie, 'JFK' - Stone cleverly uses some basic well-researched facts and twists them enough to add fuel to the 'JFK assassination' conspiracy theorists' fire (in reality, there was no evidence whatsoever to implicate David Ferrie, who was proven to be an avid JFK supporter - Mr Stone would have his audience suspecting otherwise, and thoroughly convinced the conspiracy theorists at the time). I'll point out just a few of these incidents - birds dropping dead out of the sky for no apparent reason, thousands of fish washing up dead on the shore, and different species of sharks mating for the first time to create an entirely new hybrid breed of ocean dwellers. As New Year's Eve 2011 approached and most of the world was out partying, the residents of the small town of Beebe in Arkansas, USA, were watching the sky to see if the events of new year, 2010 would be repeated - 5,000 dead blackbirds plummeting from the night sky... and they were not to be disappointed - the same eerie event happened exactly 12-months later - sparking a frenzy amongst the doomsday theorists. Police starting receiving calls soon after 7pm to say that the birds were just dropping from the sky - according to one local TV station, "scores of birds were raining down". The most common (scientific) theory behind the bizarre event, is that the loud noises and bright lights of several large fireworks displays probably startled and disoriented the birds. But this doesn't sit too well with Paul Begley, who is a pastor at the Community Gospel Bapist Church in Indiana. 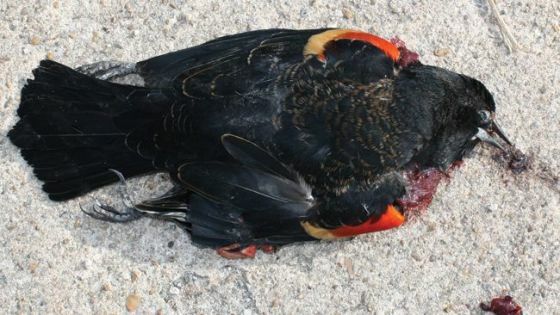 According to Father Paul, "I was doing a live broadcast talking about bible prophecy and the end of the world... And the birds started falling out of the sky again... this is God... It's not fireworks. 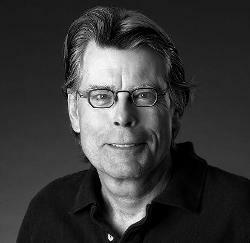 If that was the case, on the Fourth of July every bird would fall out of the sky." One Beebe resident, Kevin McKinney, thinks that something else was going on, "Fireworks going off all night and all day - no problems!... But when the birds started dying, I had my compass out: it went crazy, spinning and unable to find north." 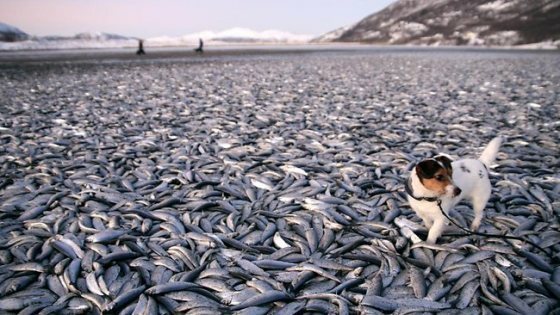 Literally thousands of dead herring have washed up on a beach in Norway. Approximately 20 tonnes of dead fish littered the shoreline in Kvaenes (northerly district of Nordreisa). Scientists are still baffled as to the cause and are conducting tests on the fish to see if they were driven to their death by a predator or simply swept ashore by a storm... the doomsday theorists are claiming it as a sign that the world is Armageddon is definitely on the way. 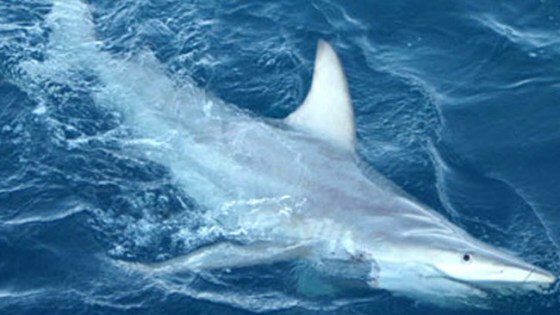 Marine biologists in Queensland, Australia have discovered 57 animals and have idnetified them as a cross between the 'common blacktip shark' and the 'Australian blacktip shark' - although they are related, the two are genetically distinct species. Scientists are putting the interbreeding down to the animals adapting to climate change... they have also warned that the 'hybridisation' could make the sharks stronger. Dr Jennifer Ovenden, of the Queensland Department of Primary Industries and Fisheries, said that "to find 57 hybrids along 2000km of coastline is unprecedented." Dr Jess Morgan, a researcher at the University of Queensland researcher, said that the phenomenon is highly unusual, "Sharks physically mate, which is usually a good way to make sure you don't hybridize with the wrong species". So, dear readers - there you have it... and I put it to you - are these just unrelated scientific anomolies, or are these actual omens of impending disaster, as the doomsday theorists would have us believe?